I’m often asked what are the key pieces of furniture a person should invest in for design longevity in their home and why? There’s heaps of what I call fast-fashion and disposable furniture out there for the short term, and there’s the forever furniture pieces that have a high quality build, using high quality materials, made to be heirlooms. The majority of Australians love to entertain so investing in a good quality dining table is a great place to start. It’s a statement piece and the focal point of the living/ dining area. We love designing dining tables as they bring the family together and make a house feel like a home. Choosing the right dining table is a solid foundation to build on so make sure you choose a classic design that won’t date, won’t break and is a great quality product made to stand the test of time. Once you’ve invested in a timeless piece, you can simply update your smaller more affordable homewares to stay on top of the latest trends. I love timber because it has its own inherent beauty, what we make is as much to do with the timber we use as the design itself, you don’t have to over design when you’re using timber because it’s a beautiful material. We use a lot of Australian hardwoods, American Oak, all sustainably managed timber or recycled and our designs are very much inspired by the materials at hand. The advantage of solid timber furniture is that you can always sand it back and refinish any damage. It’s in a league of its own, will last and be loved for generations, becoming part of the family. Having timber in modern homes can really soften the environment, it really does work in a modern, hard edged property, bringing in a timber element will warm it up. Remember to keep things simple. Start by getting the foundations right and build from there. Your home should be a place of comfort, a safe space for relaxation and winding down so a classic and comfortable sofa is also key. A high quality lounge can stand both the test of time and the general wear and tear of such a high traffic space. We suggest going for something that’s neutral in style, and comfortable to sit on. You want to be happy having this piece in your living room for years and years to come. I’d recommend choosing a sofa that can be reconfigured if you’re not yet in your ‘forever’ home, our Box Sofa is a great example as you can add an armless section which can be configured to work on the left or the right hand side and it comes in various sizes and materials to suit. Lastly, we all love to sleep. A strong, solid timber bed that’s going to last is essential. A bed is the focal point of any bedroom so choosing the right piece will create a statement, as well as connect this room to the rest of the home creating a nice sense of flow. Remember to keep things simple. Start by getting the foundations right and build from there. Your core furniture should be minimal in form, with a focus on quality and function. We tend to keep things light and neutral to showcase the character and warmth of our timber furniture. Then we finish things off with a pop of colour using cushions, art and objects to reflect our mood, soften and make things a little less serious. You will spend many years living with your key pieces of furniture and so you’ve got to make a choice that you’re comfortable with. At the end of the day your home is your retreat from the world, your own personal domain and so follow your heart, and what really resonates for you, not your head. I got into this business to do something environmentally friendly and to be involved in a creative process, where you think something up, make it and then see someone happy to own it. I like to get up each day and do something I enjoy, so when it got time to be serious about life I thought to myself ‘if I was a billionaire what would I do’? And I like making things. It’s as simple as that. 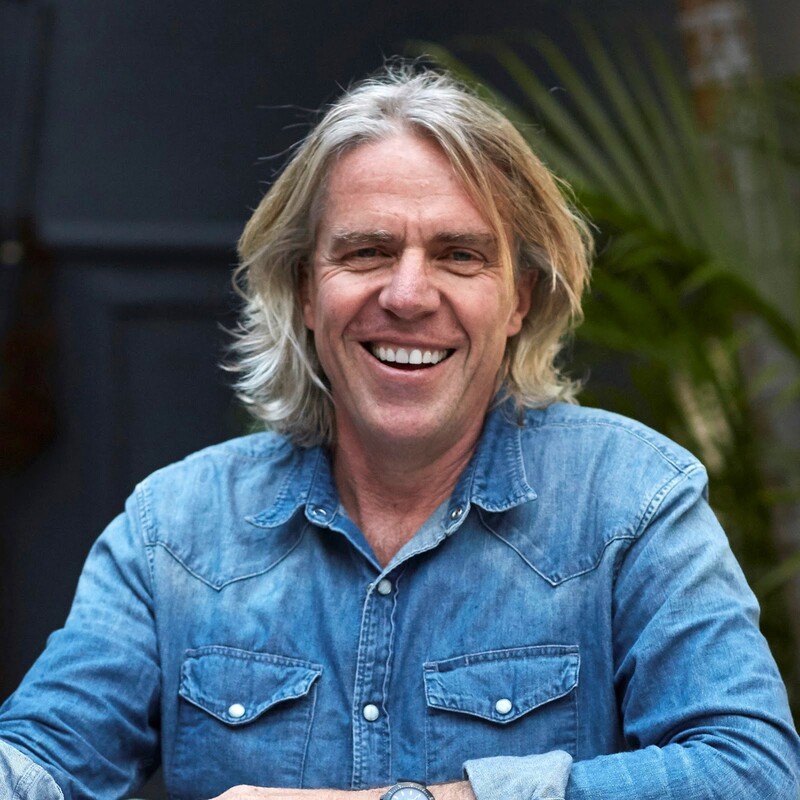 Mark Tuckey is an Australian furniture company dedicated to designing timber furniture with integrity, simplicity and strength, using recycled and sustainably managed timbers. Mark Tuckey’s commitment is to produce lifetime pieces with a negligible footprint. Each piece is custom made at their workshop in Melbourne. Visit their showroom at 231 Johnston St, Fitzroy VIC 3065. Standby for a new showroom opening in Sydney late 2018.